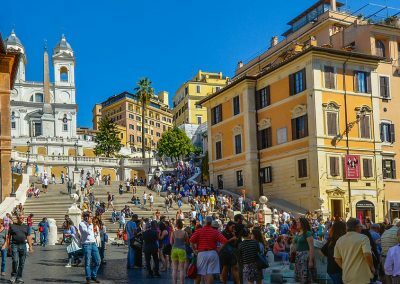 Disseminated with fountains, squares, churches and breathtaking views, the Spanish Steps and Trevi Fountain Area is the bustling, beating heart of Rome Historic Center! 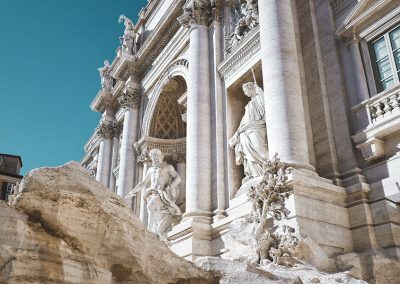 Hopeless romantics will marvel at the view of the of the roofs of Rome from the Pincio Hill, while Baroque Art enthusiasts will fall in love with masterpieces such as the Trevi Fountain! 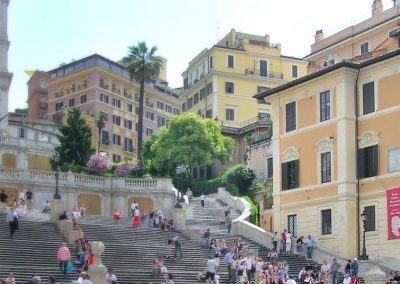 But the Spanish Steps and Trevi Fountain Area is not just about art. 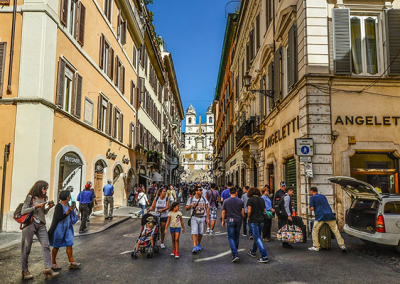 Shopping lovers shall seen all their desires fulfilled thanks to the several local boutiques and big fashion-designer shops that occupy the sidewalks of Via del Corso, Via del Babuino and Via Frattina. 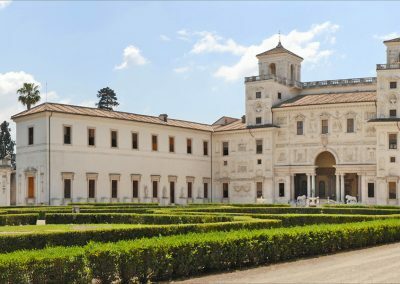 The youngsters will find their fun at the Park of Villa Borghese and the Zoological Gardens! 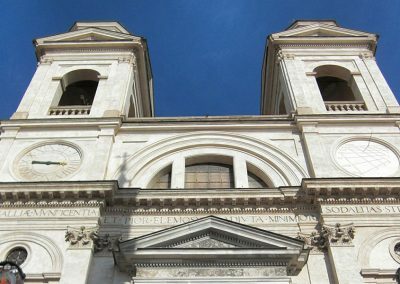 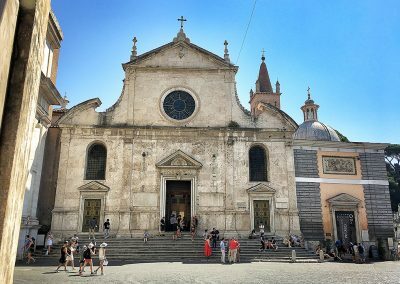 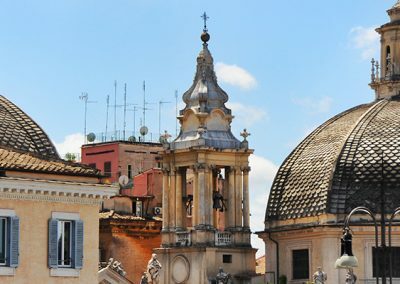 Strolling down Rome’s typical narrow, cobblestone streets you will stumble upon wide, open-air squares such as Piazza del Popolo overlooked by the churches of Santa Maria in Montesanto, Santa Maria dei Miracoli and Santa Maria del Popolo, which houses Caravaggio’s paintings. 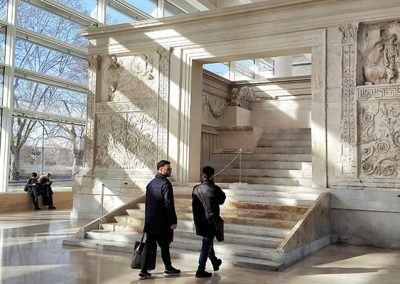 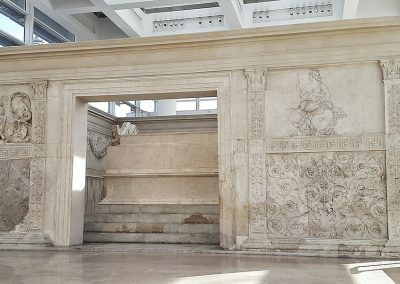 Not far from Piazza del Popolo stands the Ara Pacis Augustae kept inside the clear white, linear-shaped pavilion designed by architect Richard Meier in 2006, and dating back to the 13th century BC. 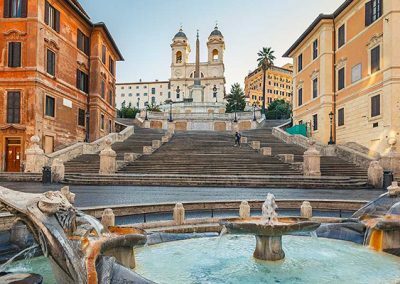 Just a few steps away, don’t miss the worldwide famous Piazza di Spagna with the Spanish Steps, Bernini’s Barcaccia Fountain and the Church of Trinità dei Monti! 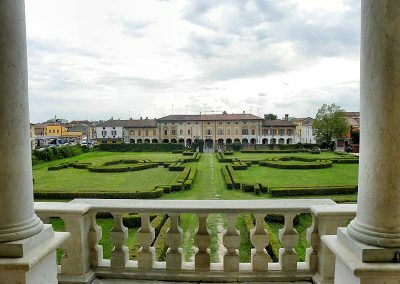 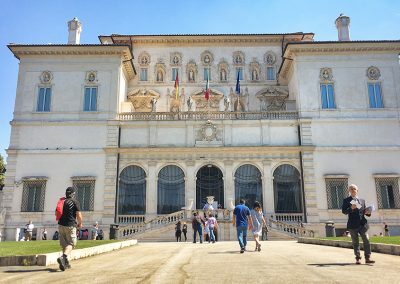 And if you’ve made it on top of the impressive staircase, walk a few more steps and reach the entrance of Villa Medici, a mannerist palace characterized by impressive gardens and Ferdinando dei Medici’s collection of artwork. 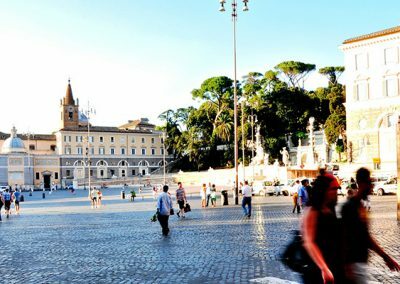 The shadow of tall trees and lush vegetation of Villa Borghese Gardens will provide relief from the heat of summer days! 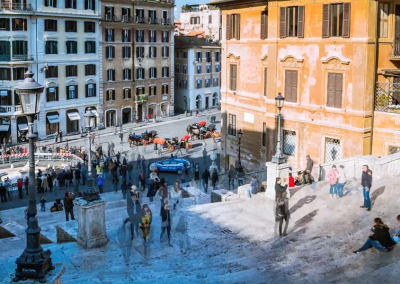 This is the perfect set for a nice stroll at leisurely pace. 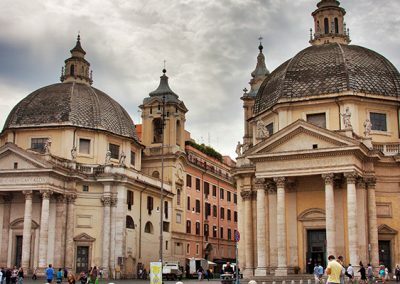 Pass by fountains, lakes, sculptures and even a little temple! 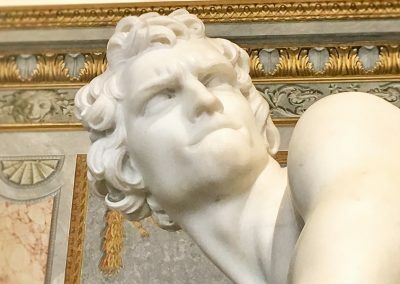 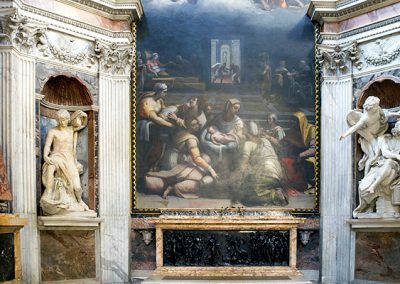 And if you still haven’t had enough marvellous wonders of art, then head to the Borghese Gallery and don’t miss one of most amazing museums in Rome. 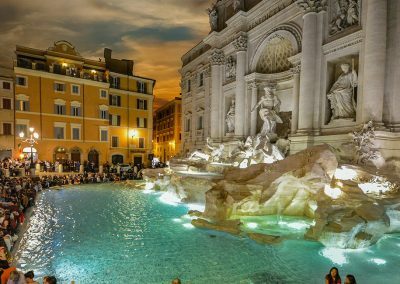 Eventually, no trip to Rome can miss a stop at the Trevi Fountain, a Baroque masterpiece dating back to the 18th century and one of the most romantic landmarks in Rome. 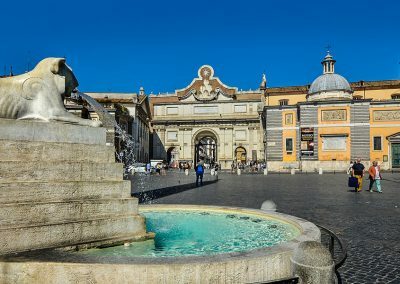 And if you liked what you saw and Rome has become one of your favorite destinations ever, toss a coin into the fountain to make sure you’ll come to the Eternal City once again!